Premier Taxis Kettering has been serving the preeminent locals of Kettering, Northants with cheap & safe taxis for over eight years. We have also become a sigh of relief for parents as we provide safe Kettering school private hire, Kettering Schools taxis and Kettering Airport taxis to and from schools. We are proudly in affiliation with the Kettering Borough Council and Northamptonshire County Council. To provide safety and peaceful rides, we have acquired a wide range of Sat Nav cars. Whether it’s day or night, Premier Taxis Kettering will always be right around the corner, 2 mins away from you. 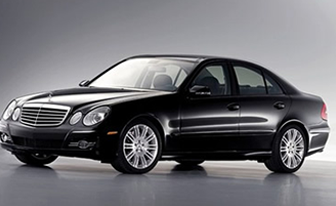 Once booked, our driver will arrive at the pick-up location within few minutes. So, enjoy the rides and leave traffic to us. Over the time, Kettering has become a prominent educational hub by offering spectacular School and College curriculum. Schools in Kettering include taxis to and from Hall Meadow Primary School (NN15 7RP), taxis to and from Kettering Science Academy (NN15 7AA), taxis to and from Kettering Buccleuch Academy (NN16 9NS), taxis to and from St Andrew’s Church of England Primary School (NN16 9DF), and taxis to and from Greenfields Primary School (NN15 6HY). Hundreds of entrepreneurs visit Kettering schools every once in a while, to improve and learn. 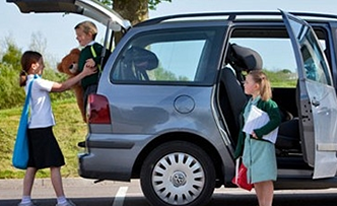 Premier Taxis offers cheap airport taxis in Kettering to schools 24 hours a day. 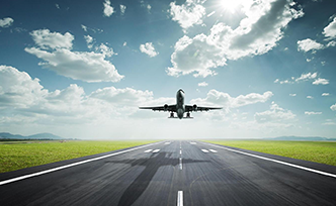 We cover all the major airports, so distance will not be a problem. We have excellent drivers who are trustworthy, licensed and know the inside-out of Kettering, Northamptonshire, UK. You can book Kettering School taxis to and from airports at any time on any day. Closest airports to Kettering are Birmingham Airport (B26 3QJ) and London Luton Airport (LU2 9LY). The distance between Kettering and Birmingham Airport (BHX) is 48.2 miles (53 mins) via the A14 and M6 route. The distance between Kettering and Luton Airport (LTN) is 52.4 miles (1 h 3 mins) via the M1 route. Stuck at the airport? Premier Taxis Kettering also provides prompt & affordable Kettering meet and greet taxis airport service to and from Primary & Secondary schools in Kettering, UK. We understand how difficult the Kettering public transport has become, that’s why we have allocated each of our ride lowest possible fares to ease travellers. Getting to and from the airport to Kettering Schools is safe now with Premier Taxis. We provide reliable Kettering School Runs, Kettering School private Hire, Kettering School Minicabs, and Kettering School Taxis Hire at quite reasonable prices. So, pick up that phone get your lavish Schools taxis Kettering within few minutes. We also provide Kettering Station Taxis to and from Schools, Kettering Hotel Taxis to and from Schools and airport transfers in Kettering to and from nearby airports, towns, and villages. Booking a taxi to schools in Kettering is very safe & affordable. To proceed with the online booking, please visit our online booking page and get a quotation for your journey. Or Call us on 01536 484 484 and we will make sure you get to beat Kettering rush hours and peak times. For queries & questions, do not hesitate to contact our Live Chat and Support Staff that’s available 24/7 at your service. We provide safe & secure Kettering school pick & drop for children to schools in Kettering, UK. We have Sat Nav cars that we use to provide punctual, safe, and reliable Kettering pick & drop.